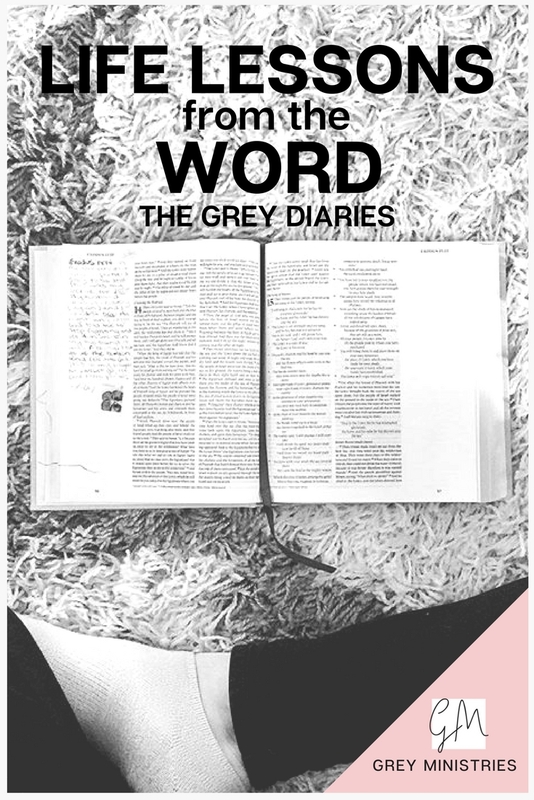 Welcome back to my monthly series, The Grey Diaries. If this is your first time here, once a month I post excerpts from my real journals in an effort to share the transformation I have gone on through my husband's struggle with addiction (and all the challenges that came after!). I think this is important because at the end of the day, the real message of Grey Ministries is that God can give us joy in any circumstance. Whether your loved one is sober/abstinent, heavily engaged in addiction or in long-term recovery, the challenges we face are still the same. Trust God. Choose joy. Do not let the enemy steal, kill or destroy your life (or God-given purpose!). Actually, I can impart wisdom from someone who helped me in the ministry's newest free resource, "Grandma Pearl's 30 Day Covenant with God". What is it exactly? Watch this video to find out (it was my first Facebook Live, I was SUPER nervous!. Sign up for the "Pearls of Wisdom" below! 1. I don't have to listen to the shouts and protests of "rulers" or "experts". Wisdom from God can be given to anyone. "Leave him!" they say but I have to listen to the quiet wisdom in my heart! "... wisdom is better than strength. Nevertheless the poor man’s wisdom is despised, and his words are not heard. Words of the wise, spoken quietly, should be heard rather than the shout of a ruler of fools." 2. I don't need to get pulled into arguments or defend myself. Let them think what they want. My Grandma always says, "You catch more flies with honey". Grandma Pearl used to say, "Don't throw your pearls before swine". My heart goes to heaven, Jesus knows who I am and He is walking in this with me. "A wise person’s heart goes to the right, but a fool’s heart to the left. Even when the fool walks along the road, his heart lacks sense, and he shows everyone he is a fool. If the ruler’s anger rises against you, don’t leave your post, for calmness puts great offenses to rest". 3. I don't need to "administer" consequences for my husband's actions. If he's going to "dig himself a pit" then one day, he will fall in. I mean, sorry but that's what happens when we intentionally sin and keep on sinning! The key here is to learn from our mistakes and do better... walk away from the pit! "If you dig a pit, you might fall in; if you break down a wall, a snake might bite you". 4. I have to be careful what I say and who I talk to about things. I can think of a few people who I call for support and it starts out good but by the end of the conversation all I'm doing is whining, complaining and speaking badly about everything that's going on! That's not okay. I don't want to be a fool who runs my mouth, I want to be one of those wise, quiet women who doesn't speak ill of anyone or anything (seriously, how do they keep it all in?!). I think the key is to let it go but I'm not sure how to do that. The words from the mouth of a wise person are gracious, but the lips of a fool consume him. The beginning of the words from his mouth is folly, but the end of his speaking is evil madness..."
I received this message TWICE this week. I think it's about my blog idea. I'm thinking I should just start it? [Leah here, remember, this is 2015! It clearly WAS the blog idea!!!] Things aren't perfect for hubby and I but maybe they never will be. Maybe, that's okay? Things are better than they were, that's for sure! I've been talking with a new friend, her husband is also in treatment with mine. 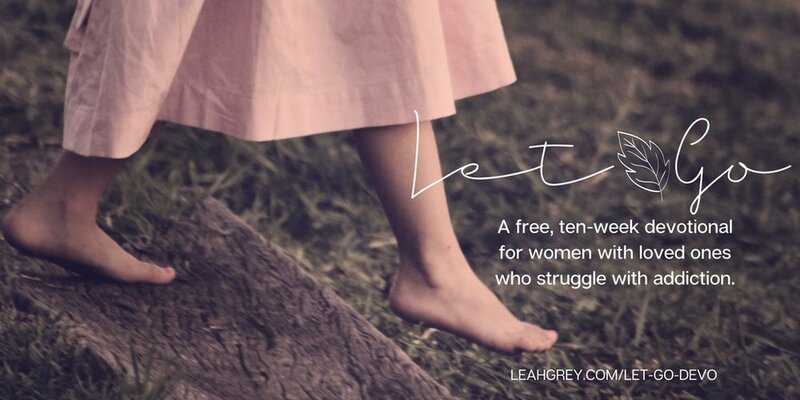 She said when she called me for the first time that she thought God might have wanted her to encourage me. It's going to be nice to talk to someone else about all of this! But surely, there must be more of us? This journey is so lonely. I really don't feel like I'm qualified in any way to start preaching to people though lol. We will see. "Farmers who wait for perfect weather never plant. If they watch every cloud, they never harvest. Just as you cannot understand the path of the wind or the mystery of a tiny baby growing in its mother’s womb, so you cannot understand the activity of God, who does all things. Plant your seed in the morning and keep busy all afternoon, for you don’t know if profit will come from one activity or another—or maybe both." 6. God's Word is enough for me. There are all these books and things I'm "supposed" to be doing but it doesn't feel right. I think God told me that it's okay to look to HIM for guidance. After I have a good, solid understanding of His Word in this situation, then I can start to look elsewhere and pick the good from the bad but honestly- God's Word is all I need (and want!). "But beyond these, my son, be warned: there is no end to the making of many books, and much study wearies the body. When all has been heard, the conclusion of the matter is this: fear God and keep his commands, because this is for all humanity. For God will bring every act to judgment, including every hidden thing, whether good or evil." 7. I need to enjoy this life God gave me. Whether my life is perfect or not, it is still beautiful. There is still so much joy. Should I ever doubt, all I have to do is look into the eyes of one of my babies as they are tickled to shouts of glee. I don't want to waste one day, not one, on misery. My husband, in all his struggles- he is a good person and he loves me. We all make mistakes but by grace we can receive forgiveness. This life, this mountain, it can be moved. So I cannot spend one more day feeling like we are broken or our situation is hopeless. I will keep my eyes up, where does my help come from? It comes from the Lord. The Maker of heaven and earth (Psalm 121:1-2). The spirit returns to God, who first breathed it."